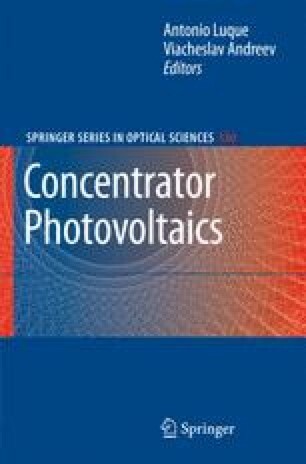 This chapter deals with the thermal issue in concentrator photovoltaic with particular emphasis on point focus systems, where the issue is more complex. The point can be stated in a very simple way: concentrating radiation on a photovoltaic converter means that the excess energy that is not converted in electricity accumulates in the component in form of phononic vibration, also known as heat. The issue is to remove this heat from the cell in the cheapest and most reliable way. After an introductory analysis of the consequence of temperature and thermal cycles on the photovoltaic radiation receiver, an in-depth analysis of the generic structure of a thermal stack for cell interconnection and cooling follows. Performance, cost and reliability are considered based on real systems.